A citation is a listing of your business name, address, and phone number (NAP) online. Most citations are listed in normal text and will include a link to your website, although it’s not required. Search engines like Google use these to help determine the power of your website and its rank in both the organic search results and the map pack (also called the “Snack Pack”). 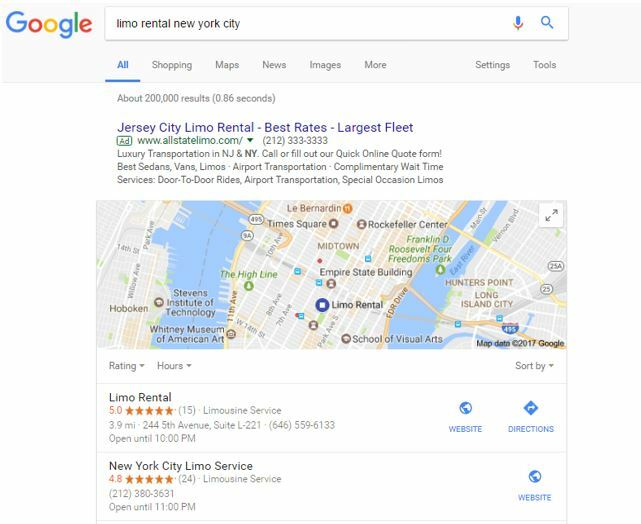 For local SEO, it’s critical that the information in each citation exactly mirrors what you have listed in Google My Business. If you abbreviated something in your GMB profile, abbreviate it everywhere else too. The closer you are to matching what you listed exactly, the more effective any new citations will be. It’s also important to note that citations should be created for each business location in order to get more visibility in the local markets. Much like a website build, ordering citations is essential and is mostly an up-front expense. However, it is helpful to continue adding new ones as you find them, if they’re from quality sources. Citations are one of many factors search engines use to determine the ranking of your business in the search results for any given keyword. Think of it as a popularity contest. The business who is listed more tends to get more attention and is ranked higher. That’s why part of our competitive research process involves identifying the citations sources your top competitors use. You should list your business in the same quality locations, and then add more to surpass them. Citations are also used to improve the search results for the end-user. The more consistent the NAP, the more reliable the search results and the more comfortable the search engine is placing your business at the top of the organic search results and the maps. Notice that the map pack is front and center. It’s large and eye-catching, which means it’s very valuable real estate for any local business, especially when the keyword you’re targeting gets hundreds of searches every month. How Do We Build Citations? Building citations for local SEO is an intensive process that requires industry knowledge, high attention to detail, and significant time investment. We review the information you’ve submitted against any current online listings to identify inconsistencies. We then reach back out to you to confirm the data and ensure that all information going forward is uniform. We begin competitive research by identifying all citations sources used by your top 3 competitors. We then continue with an in depth analysis of the local market to find any quality directories, listings, or websites that they missed. We create each citation manually to ensure that the information is entered accurately and that your business sees the largest possible benefit from each source. The more accurate and complete your information is in each listing, the more of an effect it will have on your search engine ranking. When we have finished building the citations, we send you a comprehensive report of the work. The report lists each citation source by web address, the username and password to login, and the status of each citation – complete, pending, or already existing. We recommend saving this report in case there are future changes to your business, such as moving to a new location. Industry leaders like Whitespark charge $5 for each local or niche citation, which includes local directories specific to your industry, such as Houzz.com, FindLaw.com, or HealthGrades.com. Generic citations cost $4 each and include general directories, such as Angie’s List, Manta, and the Better Business Bureau. To order citations, please give us a call with the package you’d like.